Evelyn earned her BS in Physical Education with a minor in Athletic Training from Brooklyn College and received her BS in Physical Therapy from Hunter College. physical therapist specializing in chronic pain, pelvic floor dysfunction, orthopedics and spine (neck and low back pain) for over 25 years. achieving lowered pelvic pain, normal bladder, sexual and bowel function by her manual, biofeedback and movement therapies, she designed the first accredited APTA (American Physical Therapy Association) course in pelvic floor dysfunction for both NYU and Stony Brook Universities and taught her pelvic courses to their DPT candidates for 7 years. By teaching the future physical therapists, Evelyn has furthered the awareness of pelvic floor dysfunction to their patients and referring physicians. Today, the pelvic health specialty is booming across the country and in the world. In 2014 along with one of her healed pelvic patients, Evelyn co-developed an app, PelvicTrack, to help people suffering with PFD learn some of Evelyn’s tips, self-help techniques and over 30 exercises for their road to recovery. In 2018, Evelyn wrote and launched her eBook, re.lieve Solutions for Chronic Pain to teach patients suffering with all kinds of chronic pain, the empowering science of pain and a daily program of evidence-based self-help techniques to retrain the brain and lower hypersensitivity of the nervous system resulting in decreased pain. Many pain organizations have her eBook on their website as a resource for patients and their caregivers. 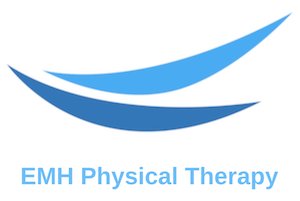 As the owner of EMH Physical Therapy, Evelyn oversees all patients who are referred to the practice. She meets regularly with each staff licensed Doctor of Physical Therapy (DPT) to ensure all patients achieve their return to function with less pain, more flexibility, strength and stamina. Explain Pain with Lorimer Moseley and David Butler of NOI organization. Craniosacral and Visceral mobilization with Upledger Institute. Orthopedic manual therapy at Michigan State University. Sports medicine for the young athletes at Hospital for Special Surgery Evaluation. Management of the TMJ with the International College for Craniofacial and Vertebral Therapeutic Institute. Female pelvic floor function and dysfunction. Coursework with the Herman and Wallace Pelvic Rehabilitation Institute. Evelyn believes in empowering all patients with knowledge, empathy and excellence and looks forward to helping you attain optimum health. Evelyn is a dynamic public speaker and is available for speaking engagements.